In the last few days an interim report on the contract by the conservative Judicial Watch organization has confirmed our earlier worries. It says that after the expenditure of $43 million, Accenture has managed to hire only 15 new Border Patrol agents. We would be tempted to divide $43 million by 15 and get a unit recruitment cost of $2.8 million per hire, but that would be unfair, as there must be potential recruits in the pipeline and the Border Patrol hiring process is slow, probably needlessly slow. Accenture says that it has 3,700 candidates in its hiring queue. The projected total of 7,500 new hires, when compared to the $297 million contract, would produce a unit cost of nearly $40,000 each, which is about the opening yearly salary of new agents. Our posting suggested that raising the salaries for this sometimes dangerous, sometimes lonely, often rugged work would be a better way of spending the money than lavishing it on Accenture. Meanwhile, Accenture has indicated that it is so lackluster in recruiting Americans for work in the IT industry, that it filed for 5,278 new H-1B workers during 2018. Again, to be fair, the initial applications with the Department of Labor in the H-1B program usually exceed subsequent hires by a 3:1 or so margin, so Accenture was only probably expecting to hire some 1,800 H-1Bs during 2018. 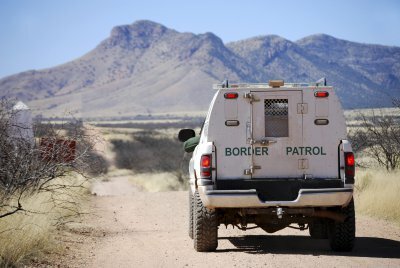 But the imbalance between 1,800 foreign workers and 15 Border Patrol agents remains a troubling one.